NOTE: In this article, all section references are to the Income Tax Assessment Act 1997. On 8 February 2018, the Treasury Laws Amendment (Reducing Pressure on Housing Affordability No. 2) Bill 2018 was introduced into Parliament. Schedule 1 to the Bill contains a proposed measure to deny the CGT main residence exemption (MRE) to taxpayers who — at the time of the CGT event (i.e. when they enter into a contract to sell a dwelling that has been their main residence) — are a non-resident for tax purposes (hereafter referred to as simply ‘non-resident’). The committee recommends that the Australian Government ensures that Australians living and working overseas are aware of the changes to the CGT main residence exemption for foreign residents, and the transitional arrangements, so they are able to plan accordingly. The committee recommends that the bills be passed. The Government announced on 18 December 2017, as part of the Mid-Year Economic and Fiscal Outlook 2017–18, that following consultation the Government has amended the proposal so that ‘temporary tax residents’ who are Australian residents will be unaffected. This is to ensure that only Australian tax residents, including temporary residents, can access the MRE. Accordingly, only foreign residents (i.e. non-residents for tax purposes) are affected by this measure. The measure is proposed to apply to CGT events happening on or after 7.30 pm (AEST) on 9 May 2017. 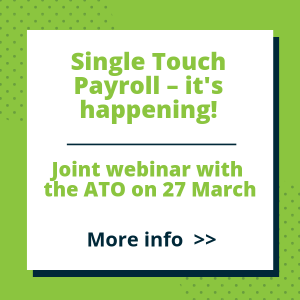 A transitional rule is proposed which will not deny the MRE to taxpayers who held the dwelling before 7.30 pm (AEST) on 9 May 2017 if they are non-residents at the time of the CGT event, as long as the CGT event happens on or before 30 June 2019. This gives taxpayers until 30 June 2019 to sell their homes without being affected by these changes. While this measure appears to commence on 9 May 2017, the practical effect is that it could result in the retrospective denial of the MRE as far back as 20 September 1985: the commencement of the CGT regime and the MRE. Under these amendments, the availability of the MRE to a taxpayer is based on their tax residency status at the time of the CGT event, irrespective of the use of the dwelling or the taxpayer’s residency status throughout the ownership period. An Australian resident taxpayer, Ozzie, has always been a resident for tax purposes. He bought a dwelling in Australia on 1 July 1986 for $100,000 and used it as his home; it has never been rented out, and the dwelling has always been his main residence. On 30 June 2016, having decided to accept a job overseas, Ozzie reallocated offshore for an indefinite period and became a non-resident. At that time, Ozzie’s home was worth $2.2 million. Ozzie decides to stay overseas. Five years later, on 30 June 2021, he sells the dwelling that, prior to moving overseas, had been his home for 30 years. Because Ozzie is a non-resident at the time of the CGT event, he is not entitled to the MRE — at all. Accordingly, he will have a taxable capital gain of $2.4 million. if he had decided to rent the property in 2016 when he departed Australia — reset/uplift the cost base of the dwelling to its market value (MV) on the date he first began to rent it (where that use occurs for the first time after 20 August 1996) under s. 118-192. This is because all of these concessions are contained in the MRE rules and rely on the taxpayer being entitled to claim a partial MRE — and Ozzie is not entitled to any MRE. Had Ozzie instead acquired the dwelling after 20 August 1991, he would be entitled to include ownership costs — such as rates, repairs and maintenance, insurance and interest expenses — in the cost base of the property. But Ozzie never kept records of these costs because he didn’t think it was necessary; after all, everyone knows that the sale of a dwelling that is your main residence is not subject to CGT. Ozzie could not have foreseen all those years ago that the Government would propose to retrospectively deny him the MRE, causing the sale of his home to be taxable in the future based on his circumstances. Accordingly, because it is unlikely that Ozzie can substantiate his third element ownership costs, he would not be able to include an estimate of these amounts in the cost base of the property, thereby increasing his taxable capital gain. Contrast this with a taxpayer who acquires a dwelling after these changes are enacted with the knowledge that, under the new rules, there is a possibility that they will not be entitled to the MRE — they would be in a position to prospectively retain all relevant cost base records from the date of acquisition to minimise their eventual taxable capital gain. 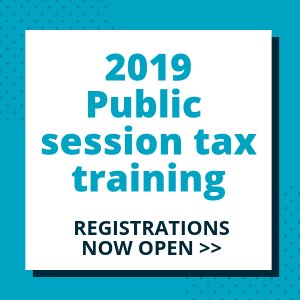 CGT event I1 (s. 104-160) happens when an individual stops being an Australian resident, causing a deemed disposal of their CGT assets at their market value and allows the taxpayer to choose to defer the tax on these assets. However, CGT event I1 does not happen when Ozzie stops being an Australian resident, because CGT event I1 applies only to CGT assets that are not taxable Australian property — in this case, Ozzie’s dwelling continues to be taxable Australian property and therefore remains within the Australian CGT regime. What about the CGT discount? Ozzie will have a taxable capital gain of $2.4 million, without access to any MRE. Is he entitled to any CGT discount as a non-resident? Non-residents have not been entitled to the CGT discount since 8 May 2012. As Ozzie became a non-resident after 8 May 2012, he is entitled to a reduced discount, based on the number of days he was a resident. The law requires the calculation to be performed based on the number of days but for illustrative purposes and simplicity, years have been used here instead. So, given that Ozzie was a resident for 30 years out of 35 years of ownership, he will be entitled to a CGT discount of 42.85% instead of the full 50% discount. 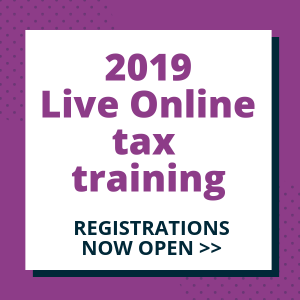 If Ozzie had become a non-resident before 8 May 2012, he would be entitled to apportion the CGT discount by applying it only to that part of the capital gain which had accrued to 8 May 2012 by determining the market value of the property on 8 May 2012. On the facts as given, Ozzie did not become a non-resident until 2016, so this market value rule is not available to him. What if Ozzie moves back to Australia? If Ozzie moves back to Australia after 30 June 2019 and re-establishes himself as a resident, then sells the dwelling, he would not be a non-resident at the time of the CGT event and he would be entitled to the MRE. Accordingly, he could access a partial MRE, the absence rule in s. 118-145 and the cost base-market value deeming rule in s. 118-192 as applicable. It is notable that para. 1.23 of the Explanatory Memorandum to the Bill explains that the general anti-avoidance rules in Part IVA may be applied to arrangements that have ‘been entered into by a person for the sole or dominant purpose of enabling that person or another person to obtain the [MRE]’. What if Ozzie dies while he is overseas? If Ozzie dies while he is overseas, his interest in the dwelling will pass to the beneficiaries (simply referred to in this article as ‘the beneficiary’) of his deceased estate in accordance with the wishes set out in his will. Assume that Ozzie dies on 3 June 2020, and Ozzie’s beneficiary sells the property on 12 November 2022. Ozzie is a non-resident at the time of his death, so any portion of the MRE that Ozzie has accrued is not available to the beneficiary. This means that despite Ozzie residing in the property for 30 years as a resident, because he was a non-resident when he died, his beneficiary may not be able to claim any MRE — it will depend on their residency status at the time of the CGT event. If the beneficiary is a resident at the time of the CGT event (i.e. when they sell the property), they will be entitled to the MRE that accrues in their own right, but not that of Ozzie. If the beneficiary is a non-resident at the time of the CGT event, they will not be entitled to any MRE; not for the period that Ozzie resided in the dwelling, nor for the period following his death. This is irrespective of the beneficiary’s use of the dwelling or the beneficiary’s residency status throughout the ownership period. 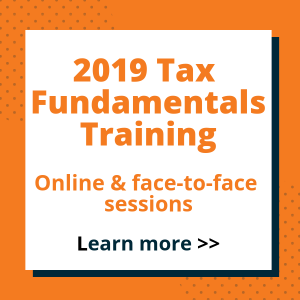 This means that if the deceased was a non-resident at the time of death, and the beneficiary is a non-resident at the time of the CGT event, no MRE is available to the beneficiary. the period following Ozzie’s death where the dwelling was the main residence of Ozzie’s spouse (assuming he had one) immediately before his death and/or an individual who had a right to occupy the dwelling under Ozzie’s will, regardless of the residency status of that spouse or individual. However, the beneficiary — to whom the ownership interest in the dwelling passed under the will (but falling short of having a right to occupy the dwelling under the will) — is denied any component of the MRE that is attributable to the period following death when they lived in the dwelling as their main residence if they are a non-resident at the time of the CGT event. a non-resident at the time of the CGT event — they will be denied any component of the MRE that they accrued in their own right. Is the MRE available to a beneficiary of a deceased estate who inherits the dwelling? the period after the date of death where the dwelling was the main residence of deceased’s spouse and/or an individual who had a right to occupy the dwelling under the deceased’s will. * Subject to normal MRE rules. ^ Or within such longer period allowed by the Commissioner. Varying the facts from earlier, Ozzie acquired the dwelling on 1 July 1986, moving into it and establishing it as his main residence as soon as it was first practicable to do so. He continued to reside in the property until he become a non-resident on 30 June 2016. He still owned the dwelling when he died on 3 June 2020. Kelly, Ozzie’s daughter, inherited the dwelling following Ozzie’s death. Upon inheriting the dwelling, Kelly rented it out. It was not her main residence at any time. On 12 November 2022, Kelly signs a contract to sell the dwelling and settlement occurs on 12 December 2022. Kelly resides in France and is a non-resident for the whole of the time she has an ownership interest in the dwelling. 3 June 2020 until 12 November 2022 — which Kelly accrues in respect of the dwelling because she is a non-resident on 12 November 2022, the day on which she signs the contract to sell her ownership interest, which is the day on which CGT event A1 occurs. Varying the facts from earlier, Ozzie acquired the dwelling on 1 July 1986, moving into it and establishing it as his main residence as soon as it was first practicable to do so. He continued to reside in the property and it was his main residence until his death on 3 June 2020. Ozzie was at no time a non-resident. Kelly is entitled to a partial MRE for the ownership interest that she has in the dwelling at the time she sells it, being the exemption that accrued while Ozzie used the dwelling as his main residence (1 July 1986 until 3 June 2020). She is not entitled to any MRE that she accrued in respect of the dwelling (3 June 2020 until 12 November 2022). This is because she was a non-resident on 12 November 2022, the day on which she signs the contract to sell her ownership interest, which is the day on which CGT event A1 occurs. Note: Kelly will need to apply s. 118-200 to work out the amount of the capital gain or loss that she realises from the sale of the ownership interest in the dwelling. If Kelly had instead sold the dwelling on or before 3 June 2022 she would have been entitled to a full MRE. This is because the whole of the MRE would have, or would be taken to have, accrued from Ozzie’s use of the residence. This includes the two-year period following Ozzie’s death. What if Ozzie returns to Australia to die? Assume that in February 2020 Ozzie is diagnosed with a terminal medical condition. He decides to return to Australia for medical treatment and to be close to his family and friends. Ozzie returns to Australia but is immediately confined to a hospital bed, where he spends the next four months until his death. While in hospital, Ozzie — as part of attending to his estate planning and financial affairs — may arrange to sell the property before he dies in June 2020. Alternatively, he may still own the dwelling at the time of his death. If Ozzie is a resident at the time of the CGT event or his death, he is entitled to the MRE, including the absence rule under s. 118-145. But if he is a non-resident at the time of the CGT event or his death, he is not entitled to any MRE. Assume that immediately on Ozzie’s return to Australia he is transferred to a hospital, and dies without ever moving back into his home. Has Ozzie become a resident again, or is he still a non-resident at the time of the CGT event or the time of his death? This is a question of fact, but it may be problematic to establish that Ozzie has re-established his residency simply by virtue of his presence in Australia while he seeks medical treatment. The author of this article raised the retrospectivity issue with Treasury following the release of the exposure draft legislation on 21 July 2017. If the Government’s new policy is that ‘foreign residents’ should be denied access to the MRE, then the Government is unquestionably entitled to change the law. Perhaps there is a view within the Government that ‘foreign residents don’t vote’ so no electoral seats are affected by this measure, or ‘they can afford it’. It is noted that Australian citizens living overseas, like Ozzie, are still entitled to vote. 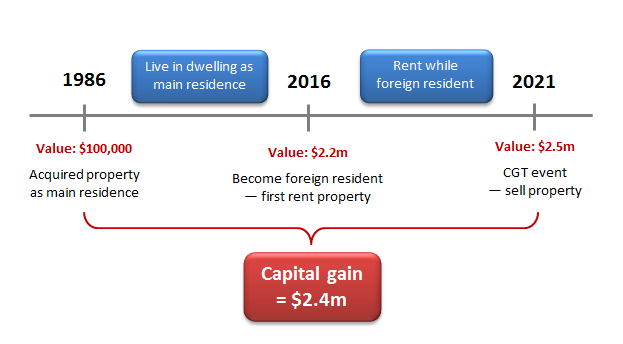 an Australian citizen who has always lived here, in the dwelling, paid income taxes for decades as a tax resident, then later in life for professional or personal reasons chooses to relocate overseas and become a non-resident, then sells the dwelling that was their home for so many years. allow a partial exemption for the number of days the taxpayer was a resident and lived in the dwelling as their main residence — in Ozzie’s case, this would reduce the taxable capital gain of $2.4 million by more than $2 million ($2.4m × 30/35 years — again using the number of years instead of days for simplicity). However, the Bill introduced into Parliament on 8 February 2018 contains neither of these two concessions. More recently, the Senate Economics Legislation Committee has now recommended the Bill be passed without any amendments. This suggests that the outcome is aligned with the Government’s policy intent, but you can form your own opinion as to whether this outcome is intended or unintended. What is not in question is that this proposed measure is draconian, retrospective and unfair. CPA Australia lodged a submission in response to the Senate Economics Legislation Committee inquiry into the Bill. In its submission, CPA Australia raised its concerns over the impacts the proposed measures will have on Australian citizens residing overseas and deceased estates. We provide a link to the submission (see above) with the express permission of CPA Australia.